"WR6_gUnUj-ztiW07KQcOCnTel9A"/> Notes From Atlanta: Re: Who Will Replace Attahiru Jega as INEC Chairman? 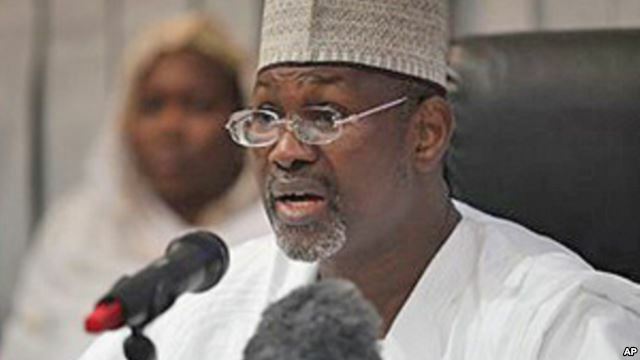 Re: Who Will Replace Attahiru Jega as INEC Chairman? When I asked readers to suggest names of honest, incorruptible and competent people who can build on the gains that Professor Attahiru Jega made at INEC, my intention was not to turn my column as a platform to promote people. But since I promised to publish readers’ responses to my question, I produce below a sample of the names people think might be suitable replacement for Jega. I am unable to publish all the suggestions I received because of the limitation of space. You underrate your influence when you said your column had nothing to do with Professor Jega’s appointment. Although you’re right that he already had a solid reputation for incorruptibility and fearlessness years before your article, what you write about him did help remind people in power about the man, who had gone out media visibility for a while. In addition, the anecdotes you narrated about him had never been in the public domain. I, for one, saw him in a different light after I read your column about him 5 years ago. You helped me see his decency and incorruptibility personally and up close. In case you didn’t know already, your column is widely read and very influential here in Nigeria. My own advice for President Buhari is that he should seek Jega’s input in appointing his successor. Jega most certainly knows people who can maintain and even build on the good work he did at INEC. Jega should not only be persuaded but begged to remain for another tenure to consolidate the reforms and innovations he commenced in INEC. Should he decline, then l suggest Hajiya Amina Bala Zakari, the INEC Federal Commissioner for Sokoto, Kebbi, and Zamfara states. She is incorruptible, articulate, hardworking, a goal getter and an achiever. I am vouching for her because of her positive antecedents, and because l worked under her when she was Executive Secretary, Social Development Secretariat Federal Capital Territory Administration Abuja, between 2007 and 2008. Your weekly articles are strongly impactful on my English learning career so much that I possess no adequate words to express how informative they are to me. I will pray that Allah continue to bless you for this onerous task. Concerning your question on who will replace Attahiru Jega as INEC chairman, I hereby forward 2 personalities in each of whom I have confidence that he will serve as a suitable replacement of Prof Jega. 1. Prof Mustapha Ahmad Isa who has been recently appointed as Vice-Chancellor of North-West University of Kano State Government. 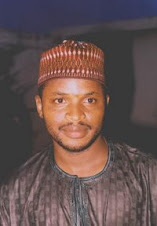 He has built a reputation of incorruptibility especially looking at various posts he held at BUK. 2. Alh Halilu Ahmad Getso. A veteran journalist who is seen as radical by some commentators but widely acclaimed to be always on the course of ethics of public service. Finally I would like to commend you Sir for always engaging and carrying us along in your truth-serving productions. I would advise that you do so on other portfolios that are to be occupied very soon. I would like to see Professor Pat Utomi take over, but the stumbling block is he has vitiated his CV by involving party politics. I think Dr. Abubakar Siddique of Political science department, Ahmadu Bello University Zaria, is fearless, principled, and would not compromise standard or due process for worldly gains. I suggest Professor Barth Nnaji (Former Minister for power and Steel) for that lofty office. I trust that he can chair the Independent National Electoral Commission to maintain the legacies of Professor Jega, and to effect drastic measures that will register on the credibility of elections in Nigeria. ''It is the best of times; it is the worst of times.'' This opening sentence to a 'Tale of Two Cities' is a paradox that aptly captured my feelings when I read this article. I say this because the victory of democracy we are celebrating today in Nigeria was largely due to the doggedness and fairness on the part of the man at the helm of affairs in INEC in the person of Professor Attahiru Jega. For those of us who graduated from Bayero University in recent times, Jega is an embodiment of transparency and justice. To hear that Jega is not willing to serve again at INEC really aggravates our fears as to who succeeds him at INEC. This is because, in my opinion good governance begins with credible elections and without competent hands in INEC this cannot be achieved easily. I will use this medium to beg our amiable prof. to please re-consider his stance and stay on this job if Mr. President decides to approve another term for him in office. I suggest Chidi Odinkalu, who is also a professor and human rights activist. He is very honest, humble, and principled. I have seen a personality in your colleague at Media Trust who is equipped naturally to replace Attahiru Jega. That person is nobody but Mahmud Jega, if not because of so-called federal character. Mahmud Jega is well known to be a nonpartisan and highly objective Journalist that can perform excellently as INEC Chairman.